The table below shows the currents required for several different analog cameras. All these cameras us 12VDC with the center conductor positive. Since the LnTech 300, Revolution Imager 1 and the Mallincam Micro are all the same camera other than branding, they all use the same current. In addition, I would believe that the Mallincam Jr, Jr Pro and Xterminator all draw similar currents. Notice that all cameras use less than 500mA without accesories and without TEC cooling turned on. Accessories like the Mallincam cooling fans and the Revolution Imager 2 LCD monitor significantly increase the current drawn, but all are still below 1amp. I was unable to get the TEC cooler to function on my Xtreme and therefore do not have a measurement of the current, but would expect it would add 1-2 amps to the total current used. There is a nearly infinite set of options when it comes to batteries. 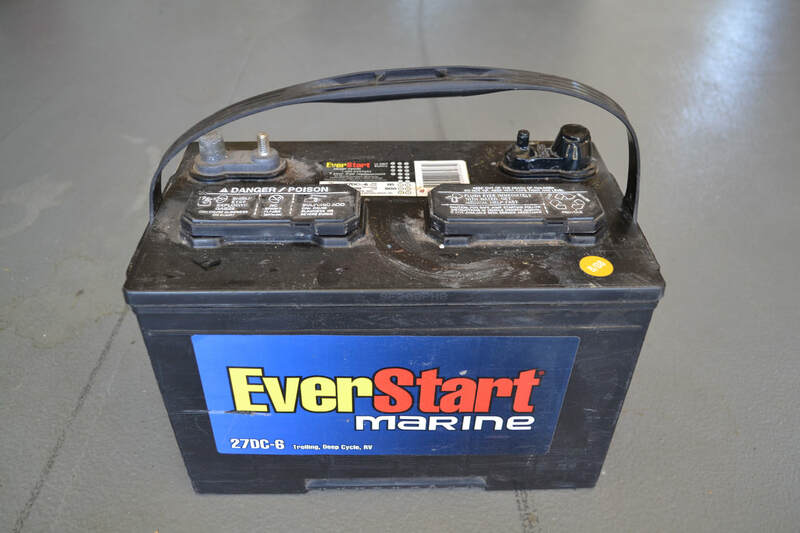 I often use Deep Cycle Marine batteries with >100Ah capacities. An amp hour, or Ah, indicates how many hours the battery could supply 1 amp of current at 12volts. If 2 amps are used, then the number of hours is half that, 3 amps is one-third that and so on. Expect to get about 70% of the stated capacity. These high capacity batteries can power my cameras, accessories, mount, dew heater and even my laptop with a voltage invertor for multiple evenings. However, these are extremely heavy and they are expensive. A lighter option is a jump start battery with a capacity of ~17Ah. But neither of these are small or light enough to mount on the scope. Lithium-Ion rechargeable batteries are a much lighter and smaller option. The trade off is capacity. Just the same, event the smallest of these can power a typical analog camera and small LCD monitor for an entire night. The table below shows some commonly used Lithium-Ion batteries, all of which can be found on Amazon as of this writing. These are just a sample of the many options available. The Talencell batteries are more expensive, but they are rated for higher maximum currents which is important when powering multiple devices. The Generic 4.8Ah battery is supplied with the Revolution Imager and can power it and it's LCD monitor all night. I use the 8.3Ah Talentcell to power both camera and smaller mounts (IOptron Cube, Celestron SLT, Meade ETX80). You can see that some of these Talentcell batteries also supply power at 5V and 9V which can be useful for other devices. All of these batteries come with 2.1mm x 5.5mm dc connectors which are typical of analog video cameras. They also are supplied with chargers.